We have tried very hard to simplify the ordeal of paying staff. Through configurable setup procedures, CleanLink can be tailored to the way you work. Our Payroll module supports weekly, two-weekly, four-weekly and monthly payroll cycles with minimal effort during each cycle. Regular hours can be either entered manually, or automatically and then adjusted from a default set up. Timesheets can be completed using our Mobile App, by Excel spreadsheet, or by simple manual entry from marked up a paper timesheets. These are all pre-populated with the regular hours for each employee and can be amended for sick leave, holidays etc. - you just manage the exceptions. You can also easily add cover staff that don't have regular hours. As an alternative to timesheets, you can import hours worked from a number of Time & Attendance systems. 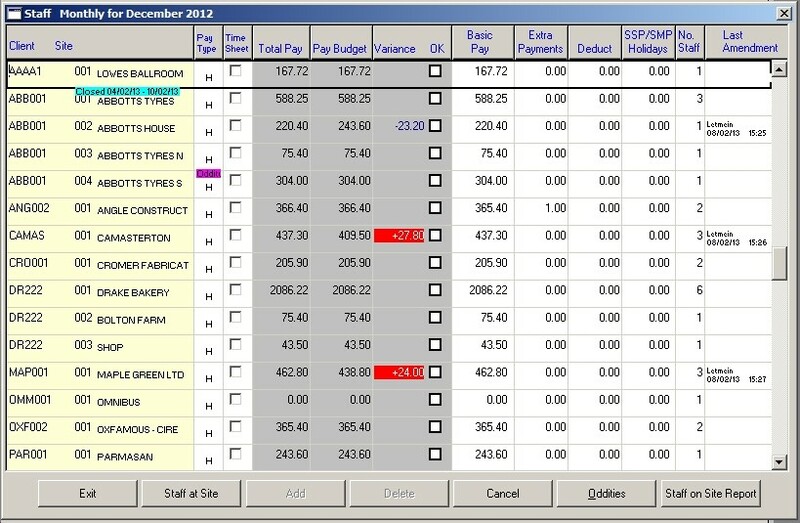 Our Payroll system is HMRC approved and links to their Real-Time Interface. We also have the necessary functionality to support Workplace Pensions, with the production of the necessary files to interface with NEST, People's Pension, and Now pension schemes. Timesheets can be generated from Site Manager and exported to either the Mobile App, as either Excel Spreadsheets, or printed and manually amended. Synchronise your employee and site data with your Time & Attendance system and Site Manager and Import hours logged in lieu of timesheets.